Even though it is rather a French dish I got this recipe from Poland from my mum! 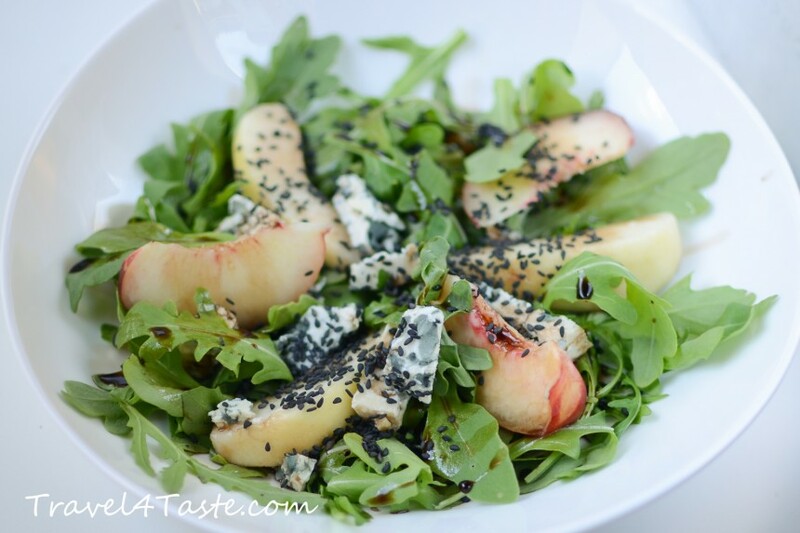 While the combination of blue cheese with pears is an obvious one, the special part of this dish is the addition of roasted sesame seeds. All that goes really well with sweet and sour (balsamic vinegar and honey) dressing! 1. 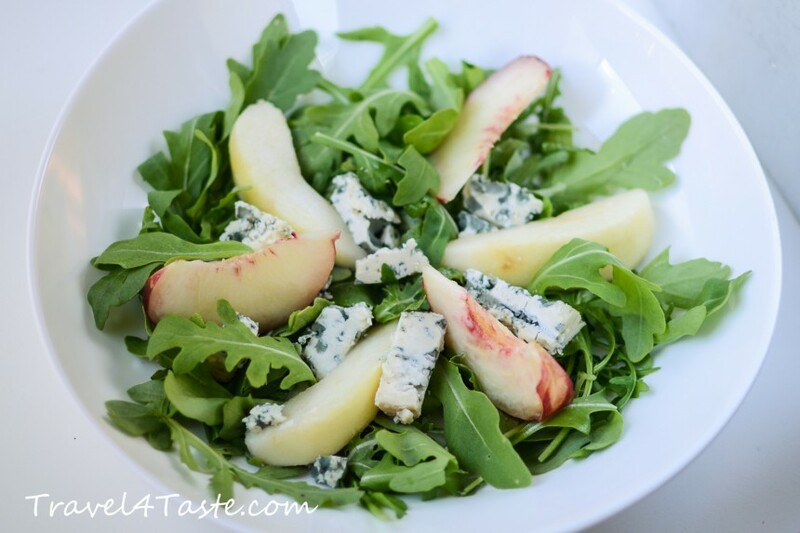 Put portion of roquette salad on each plate. 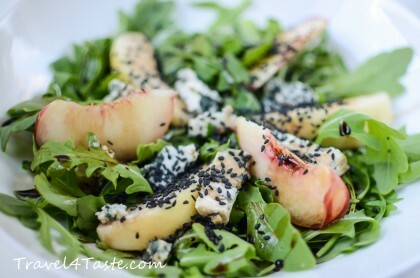 Put on it sliced & peeled pears, nectarine and sliced blue cheese. On a hot pan roast sesame seeds (without oil). 2. Combine the balsamic vinegar & honey. This entry was posted in Cheese, Dinner, France, French cheese, Fruits, Healthy, Salad, Salad and tagged c. Bookmark the permalink.